This Double Wedding Ring is a scrappy take on a traditional block and arrangement. 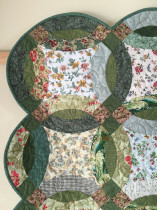 It is made using green based florals and tonal fabrics for the rings. 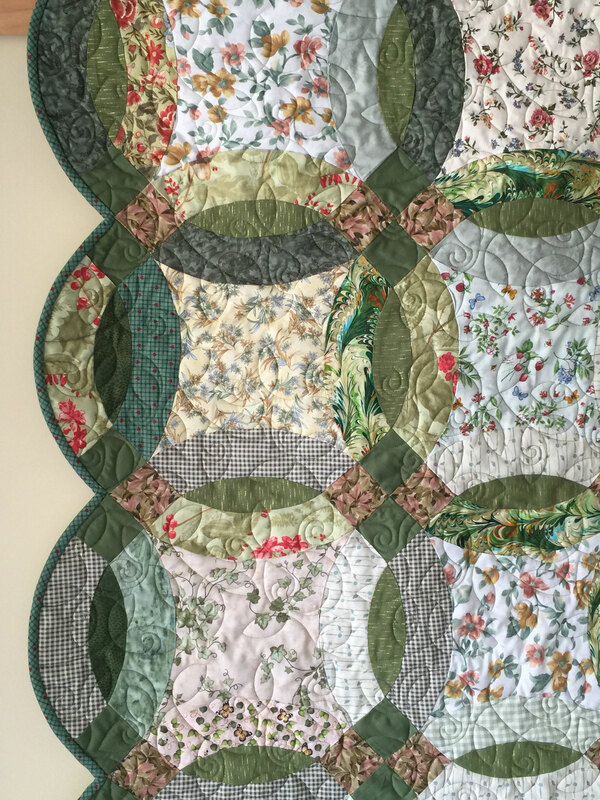 I can’t do totally scrappy, messes with my head, so it is organised in that the rings are symmetrical diagonally across the quilt (you need to look closely for this). 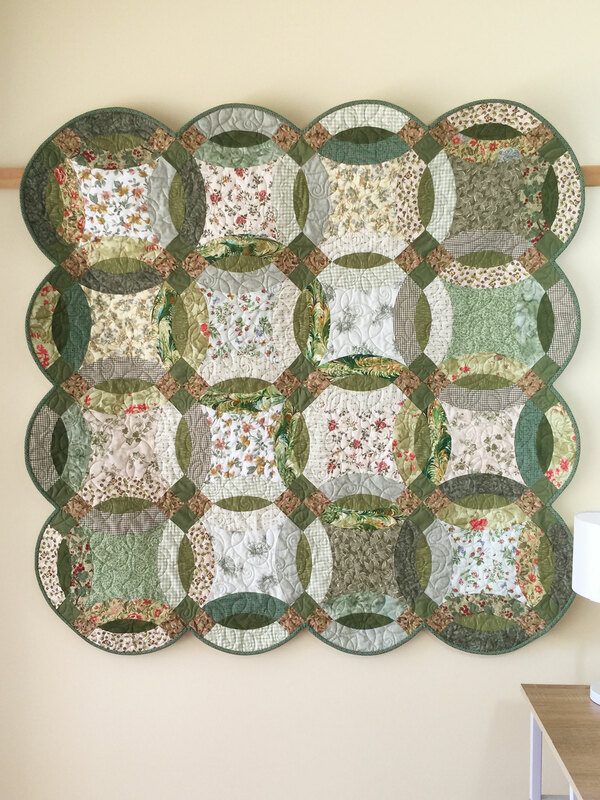 I really enjoyed making this quilt, and love how the green is quite grey and subdued, it is certainly not bright and “in your face”. 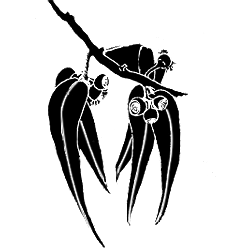 It would be perfect as a wall hanging (you will need a rod pocket), or as a table decoration. It is not big enough for an adult to snuggle under but would work for a little person on their bed, or on the floor as a playmat. It is made using cotton fabrics, and wool/poly batting. 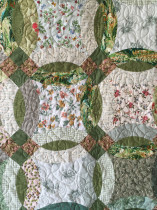 The back is a light/medium green and cream, with a strip of grey green check, and the outside binding is a grey green check with a small red heart (as used in the quilt top). 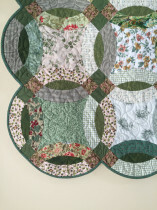 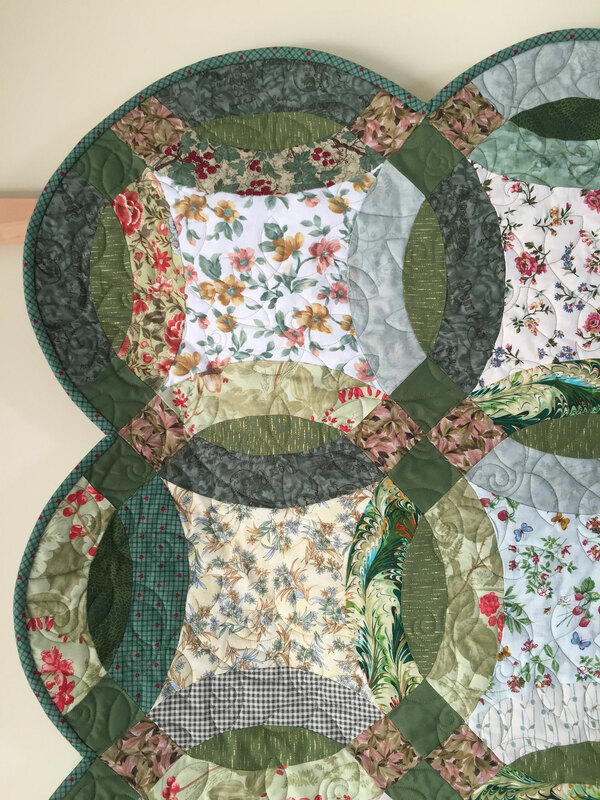 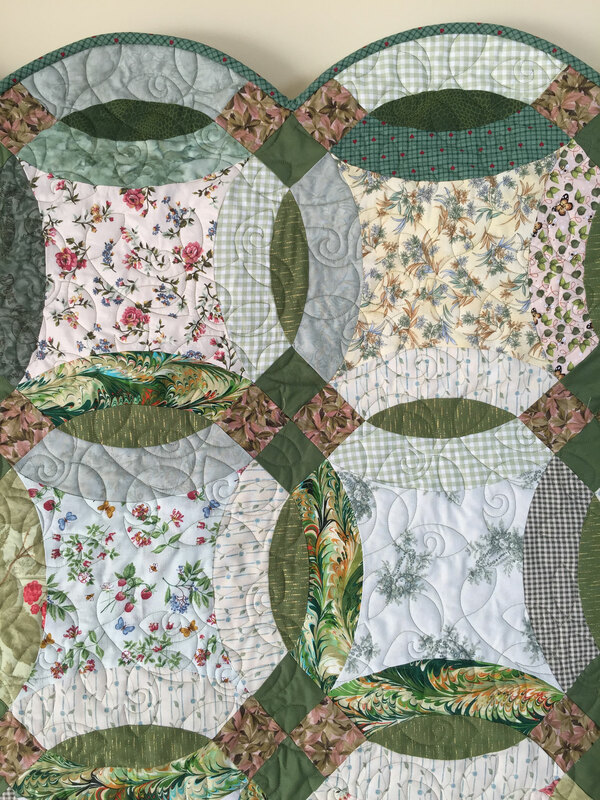 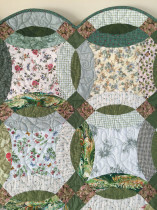 The quilting design is a simple leaf design, and is machine quilted using a blending pale grey-green thread.